I came across this speech on, of all places, my twitter feed. Someone had quoted just the opening question and first sentence of the excerpt: “Of what could art speak, indeed? If it adapts itself to what the majority of our society wants, art will be a meaningless recreation.” Taken out of context, the implication is obvious: popular art = bad art. But in the context of the paragraph and the speech as a whole, Camus meant something very different: art must connect with present reality and when it does so, it is dangerous — for the artist personally and, potentially, for the states and other power structures depicted therein. This entry was posted in Arts education, Arts policy and tagged Albert Camus, audience development, censorship, Creativity, engagement, twitter. Bookmark the permalink. 4 Responses to Create Dangerously! The phrase “art for art’s sake” is often misappropriated from it’s original intention- ”l’art pour l’art”. That intention wasn’t just reflecting an elitist thought or rather that art was above everything else. It’s historical context was that art in itself, the power of the aesthetic experience, is valuable in it’s own right and doesn’t depend on being associated with another moral or didactic purposed. 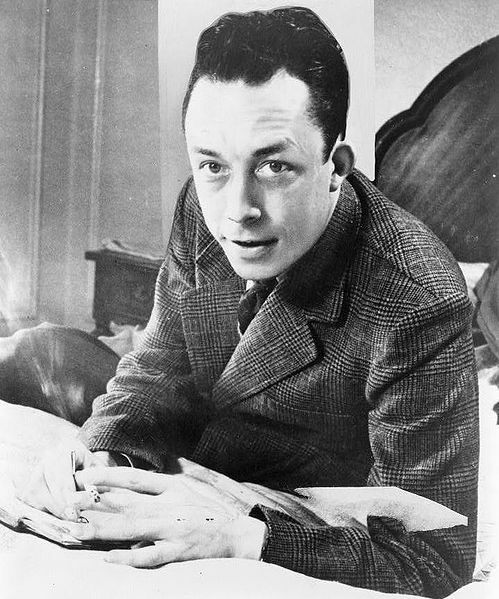 The one exception I’d propose to what Camus said is that in today’s multicultural world, with its proliferation of subcultures and idiosyncratic pursuits, sometimes a genuine lived reality has more and more the flavor of “little cliques”. There is an absence of uniformity in the broad picture. Art that perhaps once aimed at a more broadly consensual reality is now often quite fractured by aiming at what particular groups have to say and value. In so far as art can also address social issues, and these issues are often bounded by social contexts, the lived reality of our new art simply cannot speak to everyone equally. The differences within our community positively guarantees that there will be a multiplicity of contrasting and often contradictory points of view. So maybe the truth of what Camus had to say in this regard needs to be repositioned to take account of the fractured nature of contemporary society. Perhaps the threat of being “cut off from our living roots” is simply our new reality, and that we are to a large extent already unmoored from a necessary shared foundation. There are some real truths in a postmodern perspective, and it can be argued that what we give up in the sanctuary of shared values we gain in the access to different points of view. Its only natural that art has followed this trail, and that art reflects these greater changes within our society and within the human world. So, create dangerously, but also be fearless in creating new meaning. Be unafraid of creating new society, one that may seem outside the one you were born into. If you can’t find what fits, make something new. Our conversation doesn’t have to depend on an audience already preformed for us. Be bold in constructing new audiences.